Sox Superstars Paul Konerko & Gordon Beckham Go to Bat for Foster Kids! Hi! My name is Cara Dickerson and I am the Empress…I mean Manager of Events for Children’s Home + Aid. 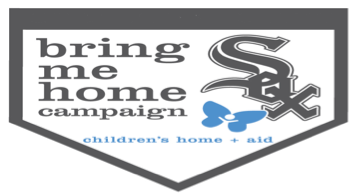 We are SO excited to partner with Chicago White Sox stars Paul Konerko and Gordon Beckham to kick off our 6th Annual Bring Me Home Campaign…and I’m even more excited to tell you all about it!